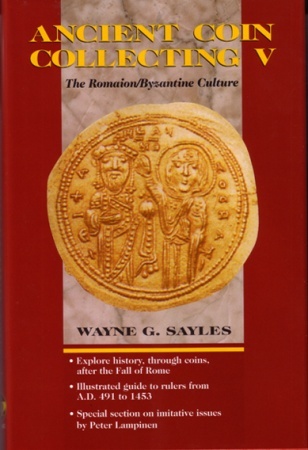 By Wayne G. Sayles, 208pp. hb, dj. fully illustrated, charts, tables, maps, 1998, Krause Publications. New, signed by the author. The Romaioi, Greek citizens of the Roman East, stood squarely in the path of Islamic expansion and helped save Europe from being overrun by powerful tribes from the East. Their coinage reveals a society with strong religious undercurrents and divergent philosophies, but plagued by political and financial crises.